Games are fun. One of my favorites is the split-second 'Would you rather' game. You can really find a lot out about a person when they have to answer a question immediately, without the burden or blessing of time and reflection. If you were in a fire and had to save one thing... If you were Spider-Man and you could only save Mary Jane or that bus of people... Team Jacob or Team Edward... You know, the really difficult questions. We discussed the idea of Lexical Definitions in Episode 63 of Inciting A Riot: the Podcast. According to most word scholars, the best Lexical Definitions are concise, precise, and leave no room for ambiguity. Basically, they're short, sweet, and to the point. Just a few lines, but exceptionally clear and leaves little room for ambiguity. You wouldn't wonder whether it was the definition of a watermelon or a fig. It's an apple. To you. I should clarify that. What do YOU think magic is? Episode 64 of Inciting A Riot: the Podcast is coming out (very) soon, and I would like to know what you think magic is. Definitively. 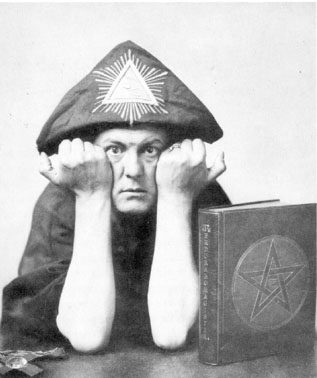 Say hi to Aleister Crowley and his magic hat. That's not your definition. That is Aleister Crowley's definition. Sending me that definition, or ANYTHING LIKE IT, is not sending me YOUR definition. You're a Rioter. We're original people. Be original. The definition is incorrect, because magic is not science. It is not scientifically proven on the whole and/or accurate on most any measure. Thus, the definition is inaccurate. The definition is imprecise, because it could be my will to change the color of my wall paint. I didn't use magic to achieve that end. I used cash and Home Depot's handy proximity to my house. So, keep it like something you would find in a dictionary, a few unambiguous sentences. Is magic the means or the end? Is magic the means...or the end? I won't go into more detail than that, because I don't want to lead you one way or the other. But I'd like to know... Is magic the means...or the end? The mundane, ritualized expression of faith. You ask great questions. This is one of the questions I get into with my master level Reiki students: what is Reiki?, or like your question, What is magic? It doesn't answer the question to say, "Reiki is universal life energy." Reiki, a Japanese word, already translates as "universal life energy," so that's like saying, "Universal life energy is universal life energy." It also doesn't help to say, "Universal life energy is the life that flows through the universe!" Love the blog, can't wait to hear the podcast. Magic is most certainly process. Even in a mundane use of the word, such as "The man used magic to pull the scarf out of his empty hand". We are referring to the process of how the scarf appeared. Now, it is obvious that this defition of magic is more synonymous of illusion than to any paranormal or psychic experience. Unfortunately it not that simple to define magic as such. Our minds (both conscious and unconscious) are incredibly powerful. It is proven that if one becomes incredibly focused on something either consciously or subconsciously they have a higher chance of that something (good or bad) coming into fruition. (duh) Because of this I define magic as the means to focus or "progrm" your conscious or subconscious to achieve a goal. 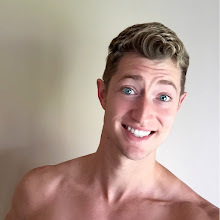 Hey James! Great answer... But, to prod the point a little further... Look at what I did with Crowley's definition... Can you make yours a bit more precise? I like where you're going, but I'm hoping to challenge you in forming a precising definition - a la Ep. 63. You're right - my definition could apply to prayer or meditation - and to an extent I think those can also be called "magic." Perhaps a Christian sees it differently, in that they themselves don't do the magic but are petitioning a deity to choose to perform that magic for them, but I think it's similar enough that it can be shared in this example. The most quoted Hermetic maxim is that of correspondence: “As above, so below; as below, so above.” To continue the logical extension of that maxim, “As within, so without; as without, so within.” The microcosm and the macrocosm operate not just in the planes of existence but also in the areas of thought and religion. In other words, base matter reflects subtle spirit the same as overt deeds reflect covert thought. The tangible expresses the intangible and observance of this pattern is to be found in all schools of religious and occult thought. Magic is the tangible expression of intangible philosophy for the purpose of directing paranormal force toward a specific purpose. I'd personally define magic as... a flow. As a form of force within and without us that many draw from unconsciously and some consciously. I'd say it's a mean and not a end, though I think that part is complicated. It's both. They are means to attain some form of trance or alternate consciousness states in which magic becomes possible, so it's a form of end. Yet that end is a mean to another end. I am originally from Mississippi and was listening to your show with Velma Nightshade recently. Velma stated that there are "No Witchy stores in Mississippi". I don't know where she got her information but it is incorrect. There are at least three. Granted that's not many but there are some and I am sick and tired of Pagans who don't live in the state of my birth bashing it as if everyone in the state is a backwards redneck. 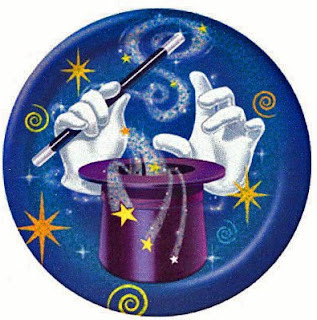 Magic: The philosophical discipline of understanding and interacting with the mundane via extraordinary beliefs. For instance, it is mundane to set fire to a bundle of sage and sweetgrass, but extraordinary to believe that doing so will clear a room of something as nebulous as negative energy. Or, it is mundane to walk the perimeter of a circle clockwise, but quite extraordinary to believe that not only does doing so have a specific effect, but doing so counter-clockwise will have an entirely opposite effect. Short and sweet? I define magic as the energetic projection of one's intent. Sorry, I deleted and re-posted, realized I used the wrong effect/affect. Magic is the act of programing energy to affect inner and outer change, usually in accordance with intent. That's my definition, however, it does leave the question of exactly how to program energy and what that energy is. I left it vague because what I do for magic is not what, say, Crowley would do for magic (really, never the twain shall meet, despite my love of silly hats). If you want a definition on the energy raised and programmed for magic, that gets a bit trickier and more into life-force, prana, chi, ki and "the universe" discussions. Trying to label that energy would probably lead to as much debate as trying to come up with a generally accepted definition for Pagan (and I know how much luck you've had there). Is magic the means or the end? Both? Magic is a means through which one can affect change. Therefore, it is a means TO an end. However, since you can also perform magic simply to become more effective at magic (whether as a spell to boost your ability or just as a means to practice so that you can improve), you can also say it can be an end result as well. I guess some people might say they performed magic only if their spell was obviously effective; in which case, they do not acknowledge that magic was done until the end result shows up, therefore, for those people magic certainly is the end and not the means. However, this implies that if the spell failed or was effective so minutely that they don't notice, that they wasted their time even trying. I think this can lead to people calling themselves witches/magicians who perform little to no magic because they are disenchanted with the process and the results they get.